Buffett: I like businesses that I can understand. Let’s start with that. That narrows it down by 90%. There are all types of things I don’t understand, but fortunately, there is enough I do understand. You have this big wide world out there and almost every company is publicly owned. So you have all American business practically available to you. So it makes sense to go with things you can understand. I can understand this, anyone can understand this (Buffett holds up a bottle of Coca-Cola). Since 1886, it is a simple business, but it is not an easy business—I don’t want an easy business for competitors. I want a business with a moat around it. I want a very valuable castle in the middle and then I want the Duke who is in charge of that castle to be very honest and hard working and able. Then I want a moat around that castle. The moat can be various things: The moat around our auto insurance business, Geico, is low cost. People have to buy auto insurance so everyone is going to have one auto insurance policy per car basically. I can’t sell them 20, but they have to buy one. I can sell them 1. What are they going to buy it on? (based on what criteria?) They (customers) will buy based on service and cost. Most people will assume the service is identical among companies or close enough. So they will do it on cost. So I have to be a low cost producer–that is my moat. To the extent that my costs are further below the other guy, I have thrown a couple of sharks into the moat. All the time you have this wonderful castle, there are people out there who are going to attack it and try to take it away from you. I want a castle I can understand, but I want a castle with a moat around it. 30 years ago, Eastman Kodak’s moat was just as wide as Coca-Cola’s moat. I mean if you were going to take a picture of your six-month old baby and you want to look at that picture 20 years from now or 50 years from now. And you are never going to get a chance—you are not a professional photographer—so you can evaluate what is going to look good 20 or 50 years ago. What is in your mind about that photography company (Share of Mind) is what counts. Because they are promising you that the picture you take today is going to be terrific 20 to 50 years from now about something that is very important to you. 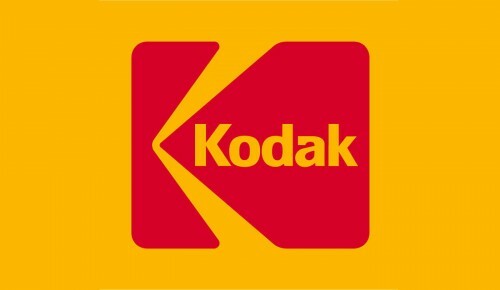 Well, Kodak had that in spades 30 years ago, they owned that. They had what I call share of mind. Forget about share of market, share of mind. They had something—that little yellow box—that said Kodak is the best. That is priceless. They have lost some of that. They haven’t lost it all. It is not due to George Fisher. George is doing a great job, but they let that moat narrow. They let Fuji come and start narrowing the moat in various ways. They let them get into the Olympics and take away that special aspect that only Kodak was fit to photograph the Olympics. So Fuji gets there and immediately in people’s minds, Fuji becomes more into parity with Kodak. You haven’t seen that with Coke; Coke’s moat is wider now than it was 30 years ago. You can’t see the moat day by day but every time the infrastructure that gets built in some country that isn’t yet profitable for Coke that will be 20 years from now. The moat is widening a little bit. Things are, all the time, changing a little in one direction or the other. Ten years from now, you will see the difference. Our managers of the businesses we run, I have one message to them, and we want to widen the moat. We want to throw crocs, sharks and gators—I guess—into the moat to keep away competitors. That comes about through service, through quality of product, it comes about through cost, some times through patents, and/or real estate location. So that is the business I am looking for. Now what kind of businesses am I going to find like that? Well, I am going to find them in simple products because I am not going to be able to figure what the moat is going to look like for Oracle, Lotus or Microsoft, ten years from now. Gates is the best businessman I have ever run into and they have a hell of a position, but I really don’t know what that business is going to look like ten years from now. I certainly don’t know what his competitors will look like ten years from now. I know what the chewing business will look like ten years from now. The Internet is not going to change how we chew gum and nothing much else is going to change how we chew gum. There will lots of new products. Is Spearmint or Juicy Fruit going to evaporate? It isn’t going to happen. You give me a billion dollars and tell me to go into the chewing gum business and try to make a real dent in Wrigley’s. I can’t do it. That is how I think about businesses. I say to myself, give me a billion dollars and how much can I hurt the guy? Give me $10 billion dollars and how much can I hurt Coca-Cola around the world? I can’t do it. Those are good businesses. Now give me some money and tell me to hurt somebody in some other fields, and I can figure out how to do it. So I want a simple business, easy to understand, great economics now, honest and able management, and then I can see about in a general way where they will be ten (10) years from now. If I can’t see where they will be ten years from now, I don’t want to buy it. Basically, I don’t want to buy any stock where if they close the NYSE tomorrow for five years, I won’t be happy owning it. I buy a farm and I don’t get a quote on it for five years and I am happy if the farm does OK. I buy an apartment house and don’t get a quote on it for five years, I am happy if the apartment house produces the returns that I expect. People buy a stock and they look at the price next morning and they decide to see if they are doing well or not doing well. It is crazy. They are buying a piece of the business. That is what Graham—the most fundamental part of what he taught me. You are not buying a stock, you are buying part ownership in a business. You will do well if the business does well, if you didn’t pay a totally silly price. That is what it is all about. You ought to buy businesses you understand. Just like if you buy farms, you ought to buy farms you understand. It is not complicated. Incidentally, by the way, in calling this Graham-Buffett, this is pure Graham. I was very fortunate. I picked up his book (The Intelligent Investor) when I was nineteen; I got interested in stocks when I was 6 or 7. I bought my first stock when I was eleven. But I was playing around with all this stuff—I had charts and volume and I was making all types of technical calculations and everything. Then I picked up a little book that said you are not just buying some little ticker symbol, that bounces around every day, you are buying part of a business. Soon as I started thinking about it that way, everything else followed. It is very simple. So we buy businesses we think we can understand. There is no one here who can’t understand Coke. If I was teaching a class at business school, on the final exam I would pass out the information on an Internet company and ask each student to value it. Anybody that gave me an answer, I’d flunk (Laughter). I don’t know how to do it. But people do it all the time; it is more exciting. If you look at it like you are going to the races–that is a different thing–but if you are investing…. Investing is putting out money to be sure of getting more back later at an appropriate rate. And to do that you have to understand what you are doing at any time. You have to understand the business. You can understand some businesses but not all businesses. Question: How do you place a value on intangible assets? What are the signs of great ““moats”” around a business and great managements? Do you place a dollar value on this? What discount rates do you use? Buffett: We use a treasury rate for comparability across companies and time. As far as we’’re concerned, a dollar earned by The Lucky Horseshoe Company is the same as a dollar earned by an Internet company – even if the market is a lot more enthusiastic about the Internet company dollar. Valuation is an art. Look at Wrigley: pick a figure for what the volumes will be, their prices, their competition, the likelihood of management being bright with cash. All of that figures into the moat and its size, and what that business will earn. There aren’’t many businesses with a terrific moat. Coke has a terrific moat, right down to the container. How many other products can people identify correctly when they’’re blindfolded? Coke has not just market share, it has a great share of mind. People associate Coke with good things. Ten years from now, the moat formed by that share of mind will be even greater. No formula in finance tells you that the moat is 28 feet wide and 16 feet deep. That’’s what drives the academics crazy. They can compute standard deviations and betas, but they can’’t understand moats. Maybe I’’m being too hard on the academics. Now we have whole finance departments full of destructive self-pity, which is one of the most dangerous forces in the world. And you are paying to send your children to those schools! Question: Not too long ago, a reasonable person might have concluded that Kellogg and Campbell Soup had big moats around their businesses, but that has proven not to be the case and their stocks have languished. What might we learn from this? Buffett: I’m not an expert on these companies, but my understanding is that Kellogg pushed their pricing too far. They didn’t have to moat they thought they had versus General Mills and other major competitors. Campbell’s problems are more related to lifestyle changes of Americans. Soup fits in a little less well than it did 40 years ago. With soft drinks, there has been no decrease in demand for decades. 30% of liquid consumption of Americans is soda and 40% of that is Coke products, so 1/8th of U.S. liquid consumption is Coke products. Coffee and milk consumption has been declining every year — it’s clear where preferences go once people start drinking soda. These trends are almost impossible not to happen in developing countries, where the consumption of Coke products is 1/50th what it is in the U.S. — though Coke could screw it up by pricing too high. Coke has also benefited from its relative price. Since 1930, its cost per ounce has only doubled. This very low price inflation has contributed to the increase in per capita consumption. There is always a battle between the retailers and manufacturers of branded products. In the 1930s, A&P had its own line of branded products that did very well. It would be interesting to know what happened.